The next edition of MEXE focuses on the theme "The Common". How do we situate ourselves in a collective experience contaminated by the ecstasy of success and the imperialism of the individual and his needs? After the disappointment with different political configurations what inspires us in today and in the future? Contemporary artistic practices have plunged into these and other concerns of the world of the here and now. In its most different geographies art connects with the real rehearsing poetic productions that make us believe that a future is drawn by many different hands. Considering the complexity of the participatory creation processes, with several voices, with constant advances and setbacks, the challenges are essentially related to the construction of renewed ways of doing and being. In a moment of urgency to desecrate what has been established to reach what is yet to come, MEXE proposes a meeting of the artistic, social, political and ethical dimensions in celebration of the courage and inevitability of being together to think and to make worlds. We are grateful! 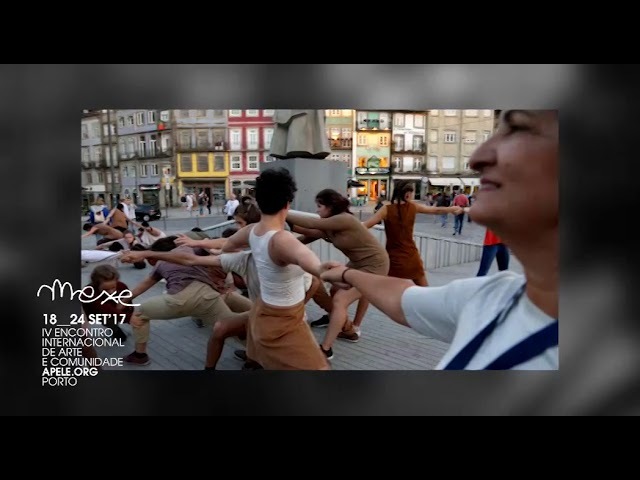 The Portuguese Ministry of Culture has recognized the cultural interest of MEXE, a national and international space of crossing and deepening of community artistic practices. The first confirmations for the 5th edition of MEXE - International Art and Community Festival just arrived. The Festival proposes to cross the artistic, social, political and ethical dimensions in celebration of the inevitability of being together. In line with the urgency of the themes that are occupying our days, national premier for the project Colectiva Ocupação (BR), a theater group composed by students from occupied schools in São Paulo, Fado Bicha (PT), a voice breaking the barriers of prejudice, and Duck March (IT), a choreographed march on motherhood composed only by pregnant women. MEXE has been recognised with the EFFE Label, a European quality label for arts festivals that stand out for their commitment to the arts, community involvement and international positioning. It is with great enthusiasm that we announce the first partners of the 2019 edition. - Teatro Nacional São João. We believe that these entities are the beginning of a strong network of partners who, in collective, will challenge us to build renewed ways of doing and being. 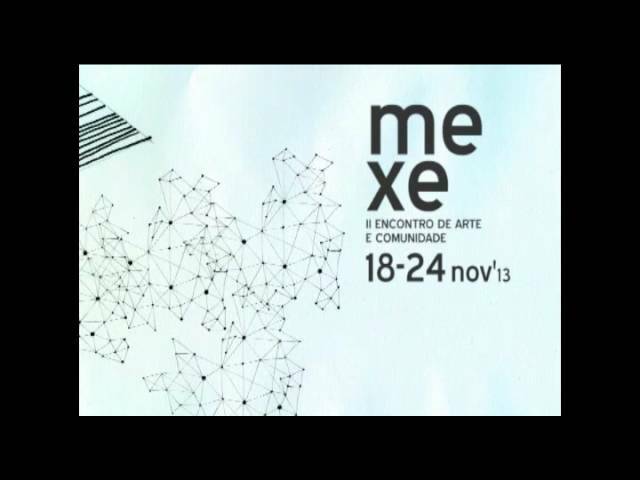 From the 12th to the 15th November, the Faro extension of MEXE - International Art and Community Festival took place. The Teatro das Figuras was taken over as a space for reflection around memories, identities and feelings of belonging, through the construction of two shows with the population of the city. The challenge was the creation of two moments that, crossing the performance and music, thought the citizenship and the pertinences of the day by day of the inhabitants of Faro. The first of the workshops, led by Edith Scher, focused on the community theater practices that she has been developing in Argentina for more than 35 years, the second, by Josep Borrás, proposed the creation of a musical show with basket balls. Both shows were presented to the public. 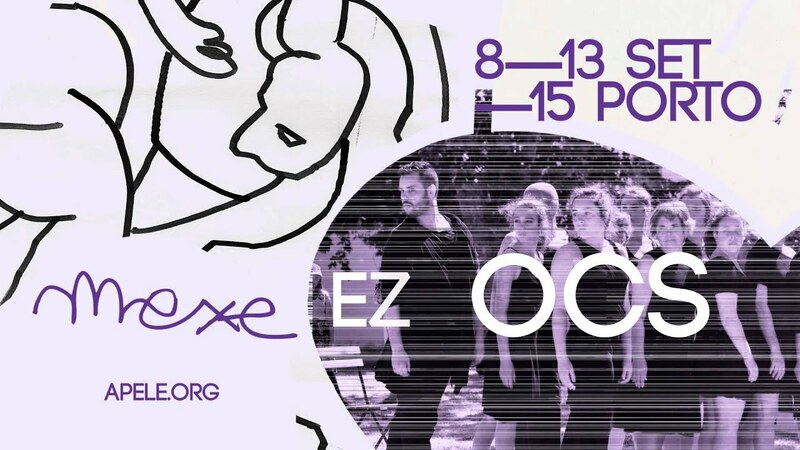 The program for this extension of MEXE in Faro ended with a conversation between Hugo Cruz, artistic director of the festival, and Edith Scher under the theme Community Artistic Practices in dialogue. MEXE House is a new proposal for the 2019 edition. It is an opportunity for non residents of Porto to live the closest with the collectives, artists, team and community that each year builds MEXE. MEXE House integrates lodging, food and special price tickets in a challenge of living in Common.